TravelVision: Decking the Halls for 75 Years! Decking the Halls for 75 Years! Wonderful party, wonderful historic hotel! 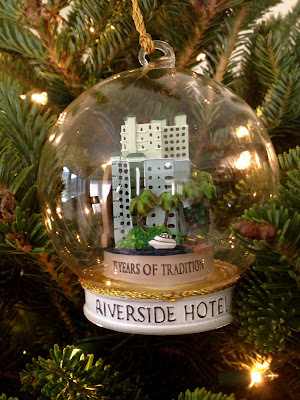 Last night the halls were decked with ribbons and bows as Fort Lauderdale's historic Riverside Hotel celebrated it's 75th year. 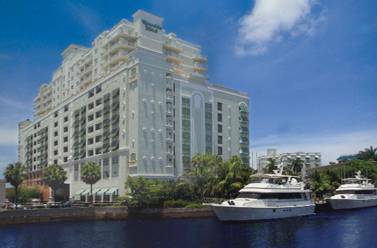 The Riverside, the oldest hotel in Ft. Lauderdale, has done a wonderful job of preserving it's historic charm while balancing it with modern luxury and amenities. It belongs to the Wells brother's family who in the 1930's envisioned this area as a destination and launched their dream. 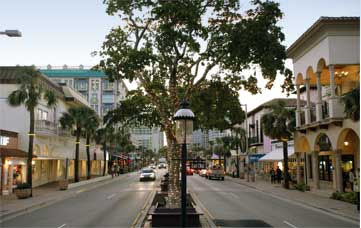 Originally a thoroughfare to the beach Las Olas Boulevard soon became known for its upscale shopping. The hotel sits proudly on this iconic American street and is the only hotel directly on it. Just step out the front doors and your on the boulevard alongside upscale boutiques, art galleries and restaurants or step in and you'll likely meet the neighbors of Las Olas at Prestin's Lounge. A favorite hang of both locals and tourists today this trendy area is the perfect blend of old and new with places like The Floridian diner, Flora Ottimer's children's boutique and trendy hotspots like Rocco's Tacos. But wait there's more! Just minutes away from the Riverside Hotel by foot is Riverwalk where you can stroll along the water, eat more, explore more of Fort Laudedale's history or catch a Water Taxi. The Riverside Hotel is the perfect location!